WP Site Importer is a feature rich content import plugin for WordPress. For details of why we license our editions this way, please see this knowledge-base article. We want all of our customers to love our products. 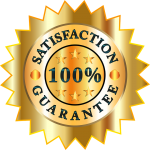 You are fully protected by our 100% No-Risk-Guarantee. If, for any reason, you don’t like the WP Site Importer plugin and tell us within 30 days of your purchase, then we will happily refund you 100% of your money. No questions asked. Install and be ready to import your website in minutes. Import content, menus and images, quickly and easily. No risk – if you don’t love it, you don’t pay for it. We offer no-questions-asked refunds to all customers within 30 days of your purchase. If you are not satisfied with our product, then simply contact us and we will refund your purchase right away. Our goal has always been to create a happy, thriving community. If you are not thrilled with the product or are not enjoying the experience, then we have no interest in forcing you to stay an unhappy member. For more details on how to request a refund, please see the How to Obtain a Refund knowledgebase article. What are the requirements for the WP Site Importer plugin for WordPress? How do you handle updates and support? The WP Site Importer plugin updates like any standard WordPress plugin, it will automatically detect and alert when a new version becomes available. It is then possible to update with 1 click from the WordPress dashboard. Please see the Obtaining Updates knowledgebase article for more details. Please see the Obtaining Support knowledgebase article for details on how to obtain support. What happens to my website after the licence expires? Upon expiry of the license, any websites you have built using the plug-in will remain fully functional. The license only applies to the plugin’s import features. So, once the license expires, you will not be able to use the plug-in to import new content. Posts, Pages, Menus, Images and Links, along with anything else that you have already imported, will remain intact. Similarly, if you deactivate or delete the plugin, all imported content will remain intact. Can I upgrade or extend my license? You can upgrade or extend your license at any time. Any time (annual licenses) or balance (pay-as-you-go licences) remaining on your current license will be preserved and the full duration or balance of your new license will be added to it. Please see this knowledge-base article for more details. Will the plugin import ALL content from ANY website? The WP Site Importer for WordPress plugin will work with most websites. However, we strongly recommend you use our Live Demo tool (click here) to test compatibility with the website(s) you wish to migrate to WordPress. The plugin uses an AI engine to identify the real content on the page (as opposed to the clutter around it). On rare occasions, particularly where there isn’t much written text on the page, it may not be able to distinguish the actual content – in which case, set-up options control whether the plugin should create a blank “holding” page – or fall back to importing the entire body of the page. Even where some manual editing is required after import – we still firmly believe the plugin will offer considerable time savings over manually recreating the pages from scratch. Will I be able to edit the content after import? When the WP Site Importer plugin imports content, it converts it to fully compliant WordPress content. It creates proper WordPress Pages or Posts, which you may then edit. Similarly, you can amend any imported menus and change any imported images. Will I be able to use the imported content with any WordPress theme (including Divi)? The styling elements on the source website(s) are stripped from the content upon import so that the theme you choose within WordPress can be safely applied to control the look and feel of your pages. The plugin will work with most* themes, including Divi. *We actually believe it will work with all themes but can’t possibly test against every theme available.